Following a review of the original Sports Hub concept for Waterside Campus and the establishment of wider sports partnerships within the town the University re-briefed the project to deliver simpler and more flexible sports facilities on campus. At its heart is the creation of a temporary 4 badminton court ‘dome’ – a landmark ‘tented’ structure at the front of the campus. 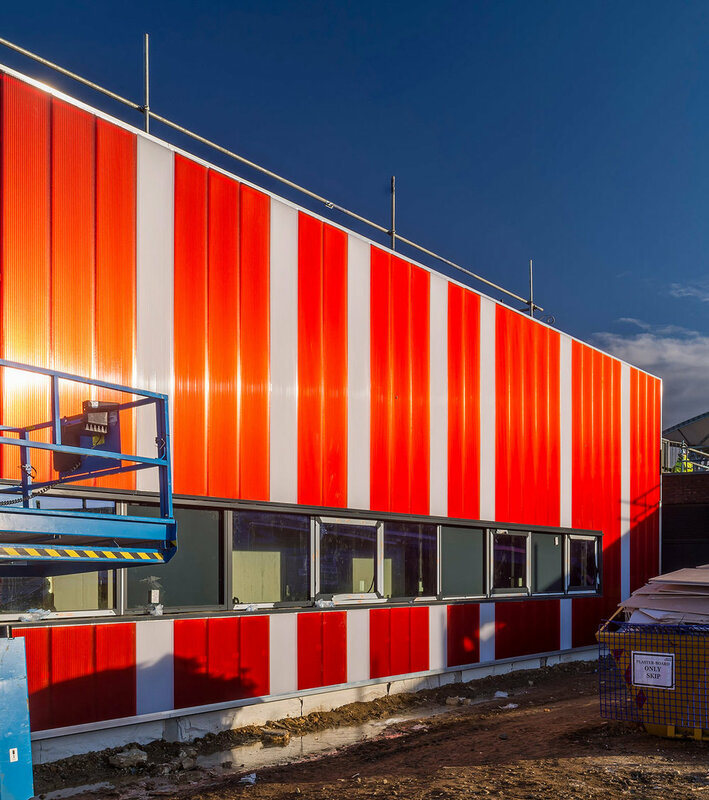 The project also integrates the laboratories and teaching space for Sports Science, 3 Multi Use Games areas and a full size Artificial Grass Pitch - suitable many sports including football, rugby and American football – and associated changing facilities.